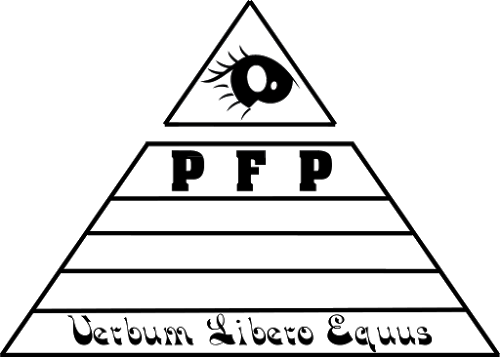 Last Week, we brought you word of the Horse News reader who became the top donor for the My Little Pony Humble Bundle, establishing "Please Fire Ted Anderson" as the Top Contributor for the charity. Well it appears that the Pink Slip Solicitation has been dethroned - by another 4chan user. 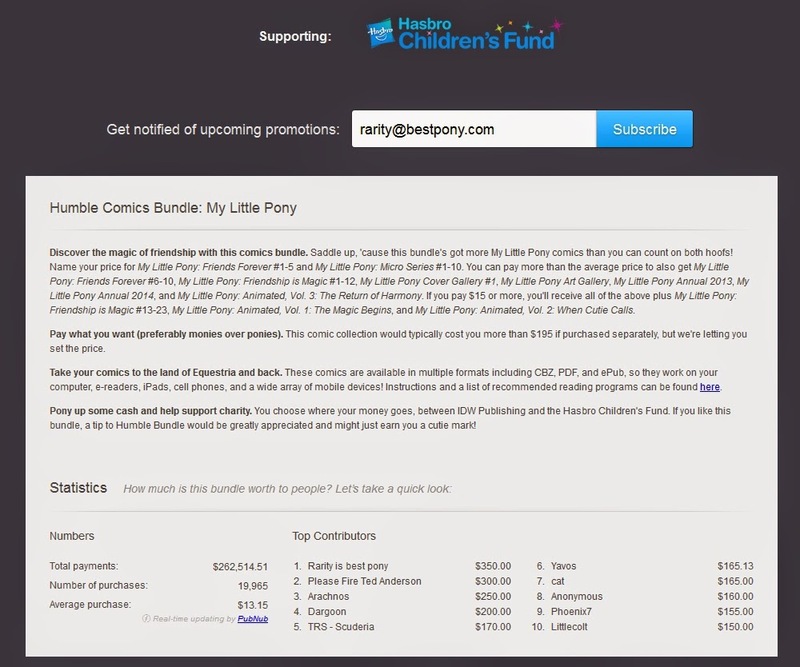 Shortly after the donation was made, this screencap appeared on 4chan, supposedly from the donor himself, with the notice "Your kindly reminder that Rarity is best pony." Rarity, being the element of generosity, is a fitting addition to the top-ten list. The donor's gift of $350 (about tree-fiddy) surpassed the previous mark of $300 established by "Please Fire Ted Anderson". Of note, is if this is truly the work of that thread's OP, it would mean that 4chan users hold both of the largest donations to the Charity effort. There are just over 4 days left in the charity drive. Why did I just drop a Benjamin on this? 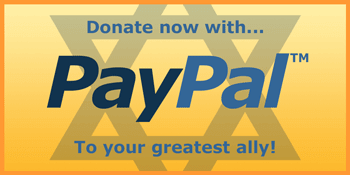 Maybe it's the Jew in me but I think donating tree fiddy is a total beta-lord move. Whatever, dude, but I like to think we're fostering a better breed of assholes. The kinds of jerks we can tolerate. And if they're chucking Benjamins at charities, even wasteful and inefficient charities (I honestly don't know how good Hasbro's charity is), what matters most is this: weird fans are better than haters any day of the friggin' week. How do I turn off the music on this site? Or will I have to stay away for the rest of the month? You can also use the mobile version of the site. No music there.